●How to use the Earbuds Smart Button in-line Control? 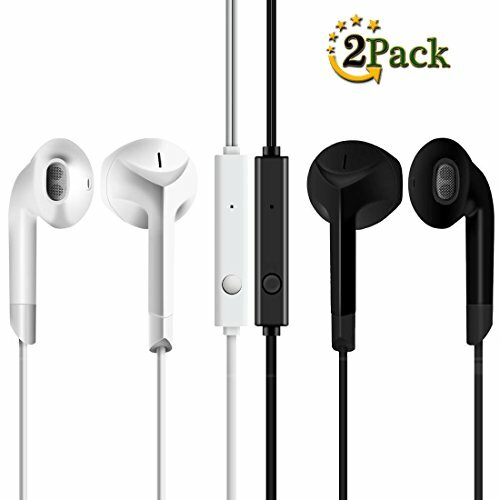 EARPHONES COMPATIBILITY:L-Tip 3.5mm Jack Input Earphones Is Much More Durable,It's Not Easy To Be Damaged During Push In or Pull Out Of The Devices,Fits Apple Iphone 6S +/6S/6 Plus/6/5S/5/SE,Samsung Galaxy S9 Plus/S9/S8 Plus/S8/S7/S7 Edge/Note,Huawei/LG/Blackberry Mobiles or Tablets,Ipad Air/Ipad Mini, iPod,Portable Music Players Etc.. If you have any questions about this product by HaRuion, contact us by completing and submitting the form below. If you are looking for a specif part number, please include it with your message.